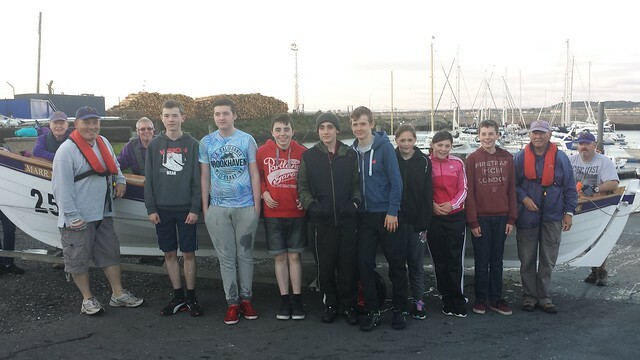 A group of sea cadets from T S Mountbatten based in Ayr visited Troon Coastal Rowing to Have a go in our skiffs. Club members readied Ailsa Lass and Marr Voyager in preparation for our guests. With little or no rowing experience and with wind speeds 15-18 mph gusting considerably more,this group demonstrated impressively a very quick understanding of rowing and keeping timing together. 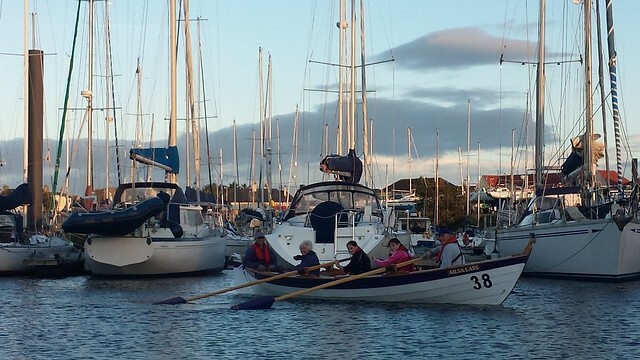 Given the winds we rowed within the confines of the harbour ,which was choppy enough for experienced crews ,both skiffs setting out and back several times for crew changes, each trip about 1.5 km. Hopefully we can build on this connection to this group and their enthusiastic plans to develop water activities, perhaps adding to our small but developing youth team.